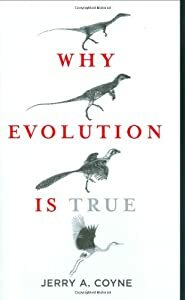 Jerry A. Coyne does a brilliant job in Why Evolution Is True. This is certainly one of the very best books on the evidence for evolution. Perhaps it’s only counterpart is Dawkins’ The Greatest Show on Earth. Coyne takes the reader step by step from the hypothesis to testability to evidence in clear and concise progression. The book covers historic, geologic, molecular and fossil evidence, to name but a few. It’s full of interesting stories and factoids. Oddities that can hardly be explained without evolutionary theory is one of my favorite themes in the book. For a topic this broad and complex, the author did a brilliant job in presenting the material in a half-digested form, ready for consumption by virtually anyone with little background. The book never gets boring. This is a page turner to recommend to anyone who wants to get familiarized with evolutionary biology being entertaining.